The WE CARE Clinic provides primary patient care on the SIUE East St. Louis Higher Education Campus, located on campus in Building D. Advanced Practice Nurses, a collaborating physician, a licensed clinical social worker, certified health coaches and a doctorally prepared pharmacist provide full services to diverse clients in the metro-east or other local communities. Each member of the care team believes that all patients deserve holistic, culturally competent care. 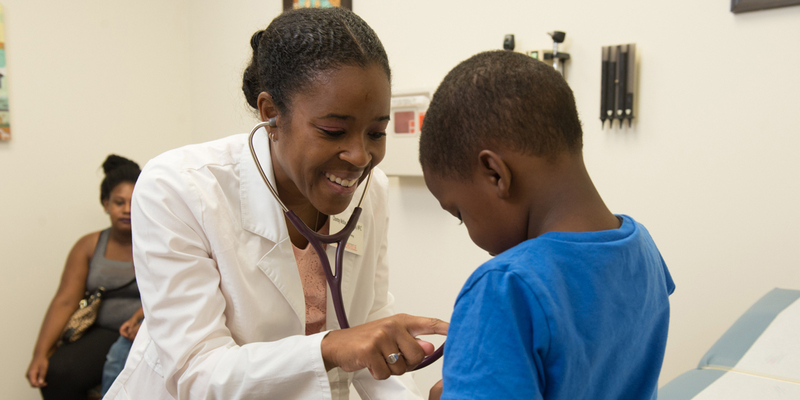 The Clinic serves patients of all ages, beginning with children age 2 or older. We work with community partners to decrease health disparities and promote health in the surrounding communities. Open daily from 8:00 a.m. to 4:30 p.m. Appointments are available OR you may walk in for an appointment. WE CARE Clinic specializes in primary care needs including asthma, diabetes, high blood pressure, men and women's health care, and care for children. Come by the clinic or call for an appointment.